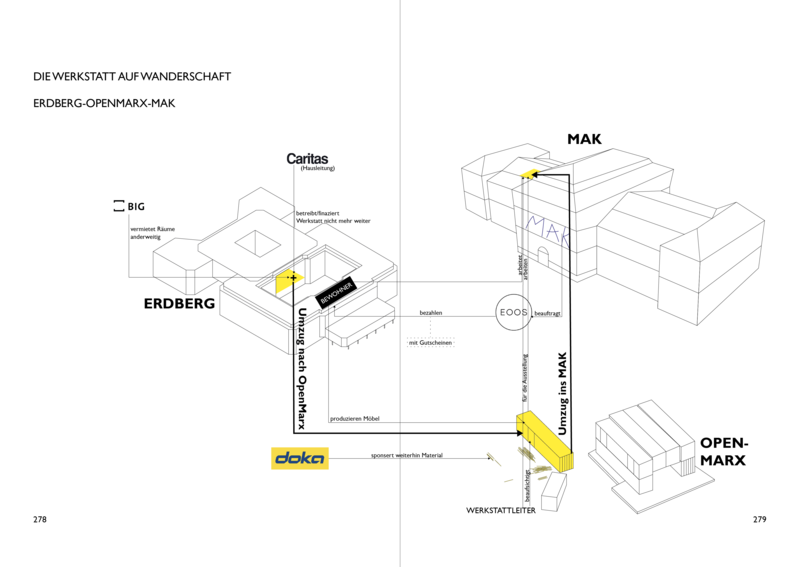 The Austrian pavilion exhibited at the 2016 architecture biennale in Venice the so called „places for people“: Three (realised) projects in Vienna, initiated by the curator of the Austrian pavilion, which exemplarily should show how architecture is able answer the pressing question of accommodating refugees. 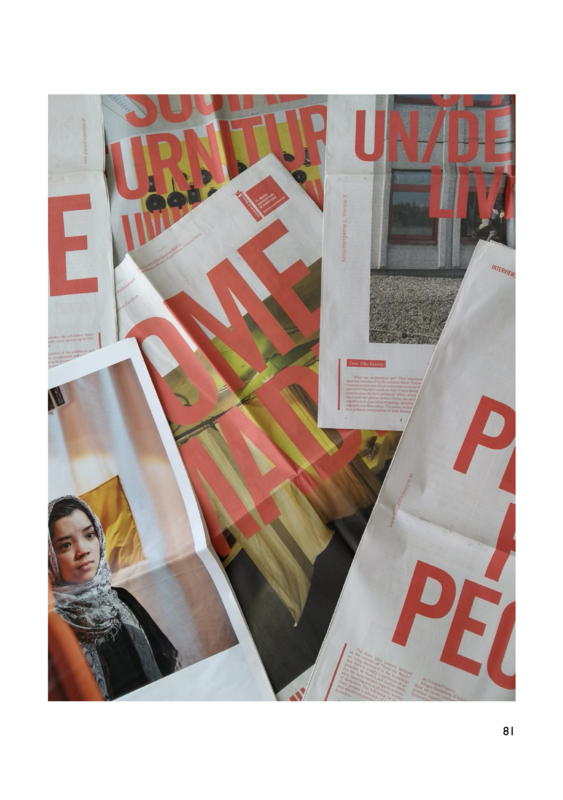 By transferring the accommodations in Vienna to Venice, their residents became objects of the exhibition as they were shown on large posters at the pavilion and visited by numerous journalists in Vienna, who saw the accommodations as part of the biennale exhibition. 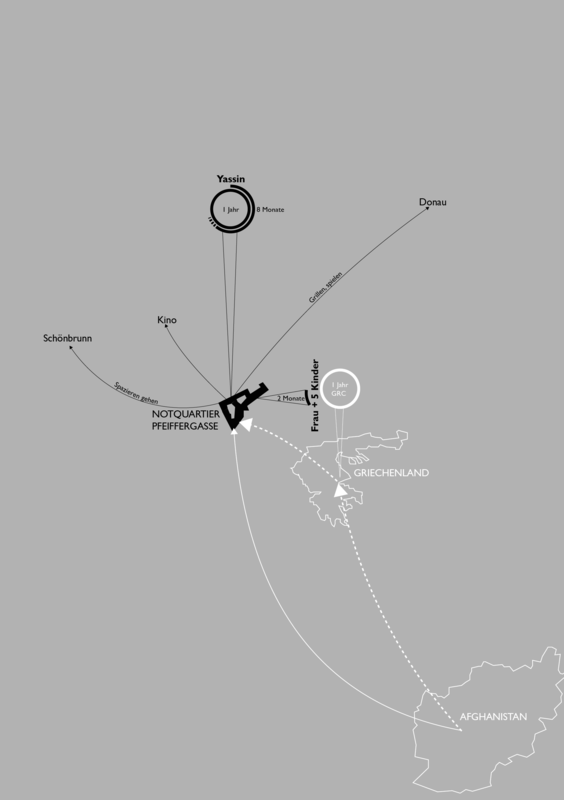 This double, translocal transversal triggered my interest and led to the question, how these places in between Venice and Vienna, in between exhibition and accommodation were constituted. 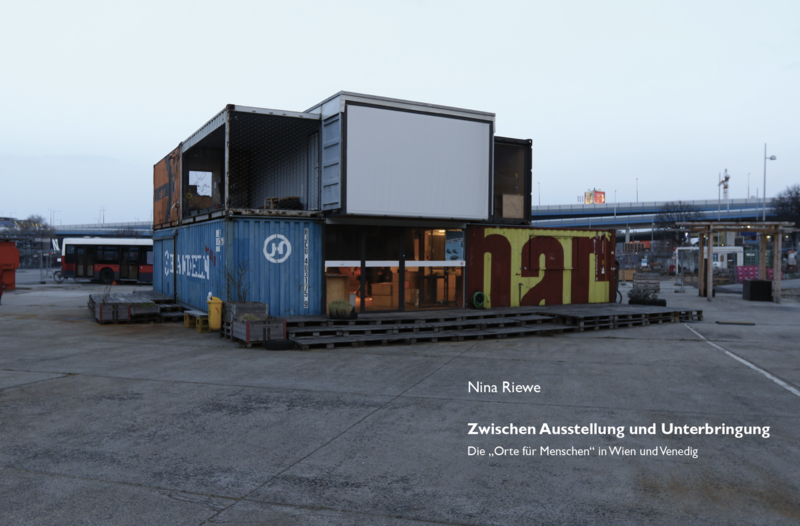 I visited the three „places for people” after the exhibition, to ask about the interrelations of exhibition and everyday life, to see the accommodations in use and to interview their residents, socials workers, participating architects and designers as well as the curator of the Austrian pavilion. 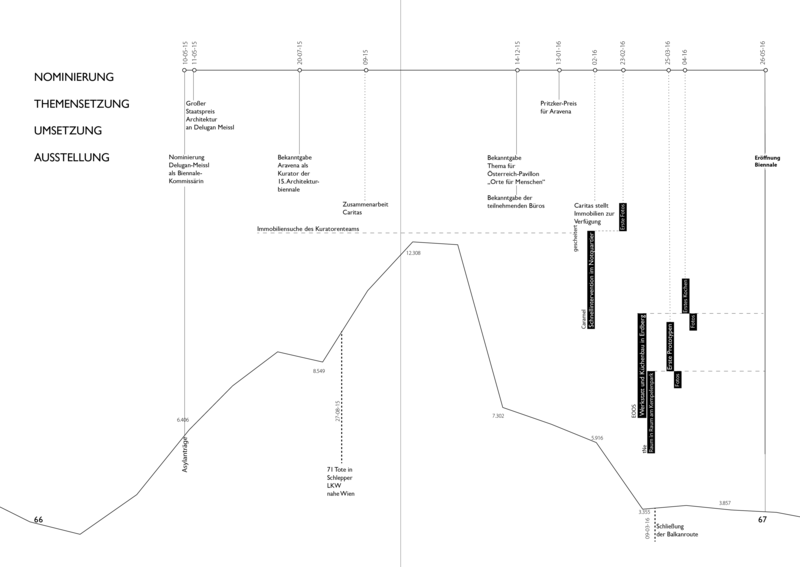 I condensed my material through several codes, drawings and diagrams unveiling the crucial aspects behind the „places for people“. From the double-edged topic of exhibiting/showing, to the question of remunerating and the ongoing spatial negotiations my work highlights finally the underlying code of translations, which constitutes the„places for people“ contributing to their failure but also to their success.